As part of a molecular approach, I’ve been designing and testing CO1 primers to use for mitochondrial barcoding in Conostigmus. Unfortunately, I’ve run into problems: CO1 does not appear to be conserved in Conostigmus, and the portions that are conserved are frustratingly rich in adenine and thymine. Since A-T bonds are weaker than G-C bonds, it is harder for primers to bind securely to A-T rich areas, making these areas useless for primer design. Though I do have primers that work for some species, I’m not sure if it’s possible to make a universal primer that will work for all Conostigmus. However, with the work that I’ve done so far, I had enough CO1 sequences that I was able to make a preliminary tree of Conostigmus and Megaspilus species. As you can see below, the three Megaspilus specimens are all grouped together, which is what I would expect to see since they all belong to the same species, Megaspilus armatus. 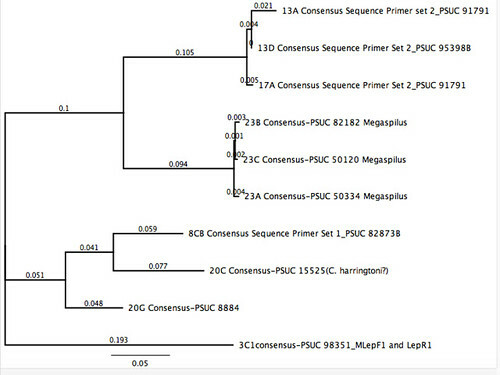 A preliminary tree with CO1 sequences from Conostigmus and Megaspilus. Photo by Carolyn Trietsch (CC BY 2.0). 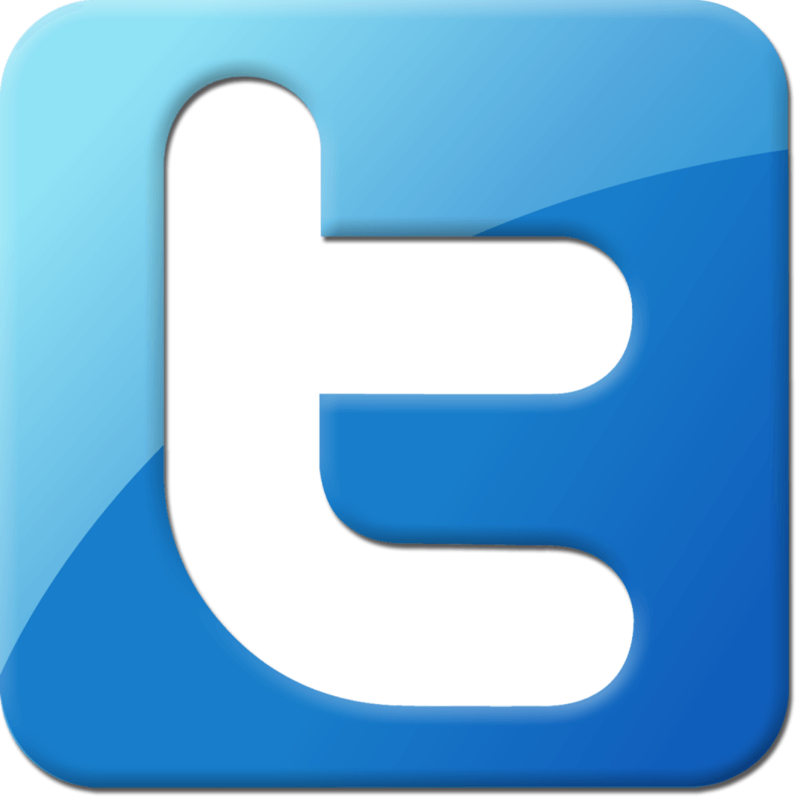 Click for source. Something else interesting is that Megaspilus armatus is nested within Conostigmus. It’s possible that Megaspilus might just be a larger Conostigmus, due to its close resemblance to larger Conostigmus species such as C. crassicornis and C. ballescoracas. The only main difference between Conostigmus and Megaspilus is the presence of a bifurcated propodeal spine, which is present in all Megaspilus. While there are no bifurcated spines in Conostigmus, there are a few species that have a single spine, including those species that resemble Megaspilus such as C. ballescoracas. Whether you prefer a Christmas tree or a phylogenetic tree, we here at the Frost would like to wish you happy holidays and a happy new year!